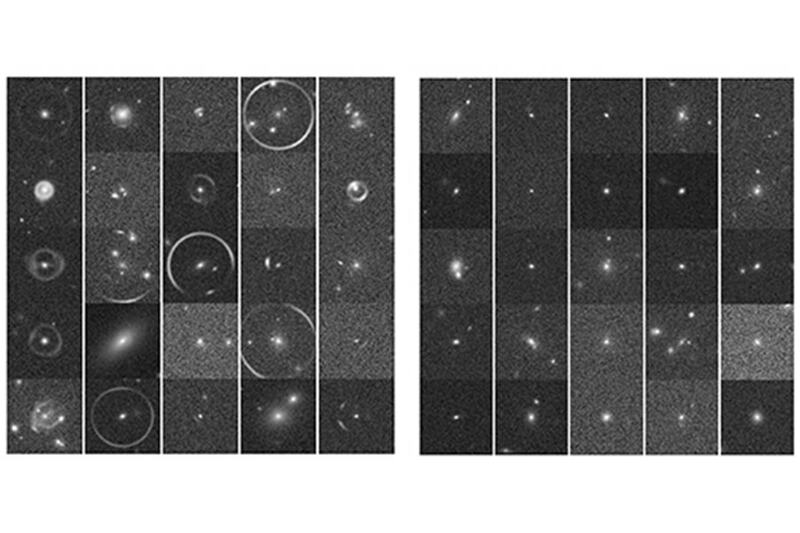 CMU DeepLens was able to discern between strong gravitational lenses (left) and objects that aren't lenses (right). A machine learning algorithm developed by Carnegie Mellon University (CMU) physicists and computer scientists wins a strong lens-finding challenge organized by the European Space Agency's Euclid strong lensing working group. The CMU team consisted of researchers at the McWilliams Center for Cosmology and the Machine Learning Department (MLD). The MLD researchers are Quanbin Ma (MS), Chun-Liang Li (PhD), Siamak Ravanbakhsh (postdoc), and Barnabas Poczos (faculty). Read more about the project and winning algorithm.